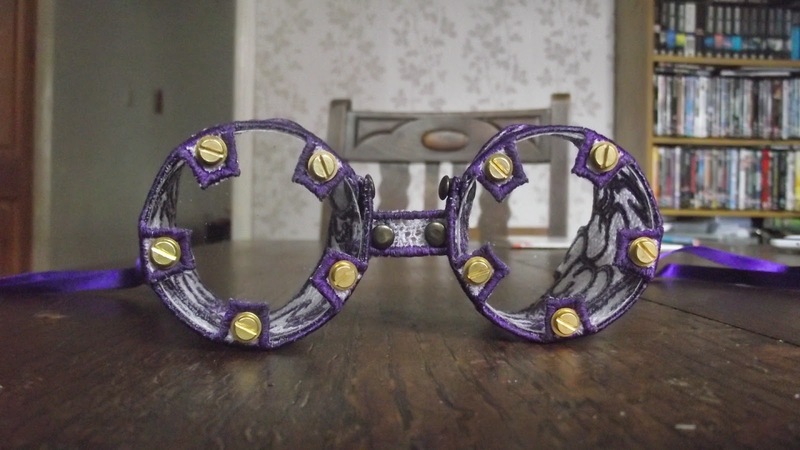 As some of you will know I am a big Steampunk fan (any excuse to buy a cog or two). So for my birthday last month I received what I can only describe as a strange flat packed present. When I opened it I had a Huh! look on my face apparently. 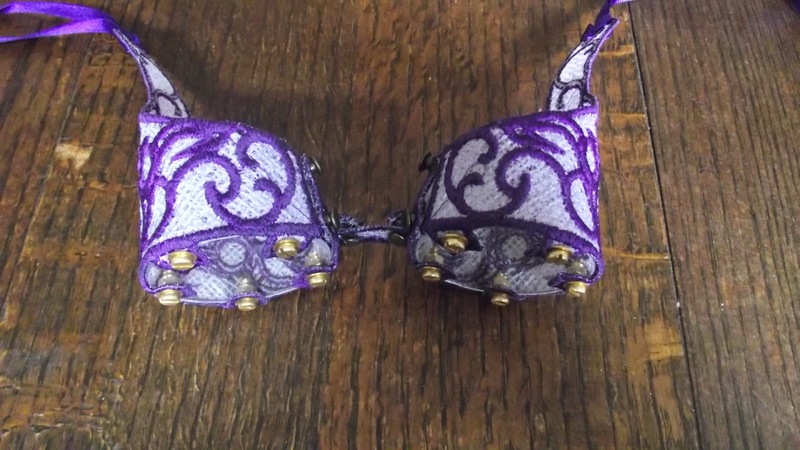 The packet was a pile of paper some purple lacy things and some nuts and bolts (I kid you not) I was told it was a make your own steampunk goggle kit! When I opened it this explanation wasn't much clearer. At first glance the instructions looked complex (no colour pictures) so I politely thanked my friend and put the pieces away to be tackled at a later date. So today was that date and I am now wondering what I was so afraid of. 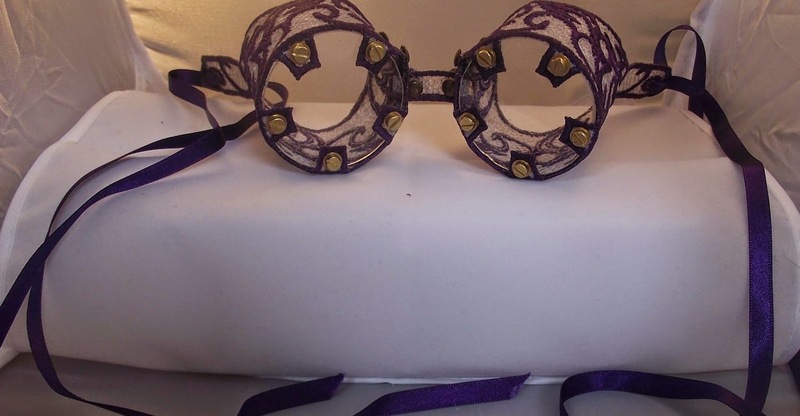 The first thing was to fasten the lenses to the frame using five little screws (sounds difficult doesn't it), then you fasten the two frames together using the bridge (are you with me so far), then you add two pieces of ribbon! Yes it's that complicated!!!!!!!! This is a straight on view of the lenses (please excuse the dodgy pic but do you know how difficult it is to photograph something you can see through? This is a top view, the detail is amazing and looks fantastic when completed. 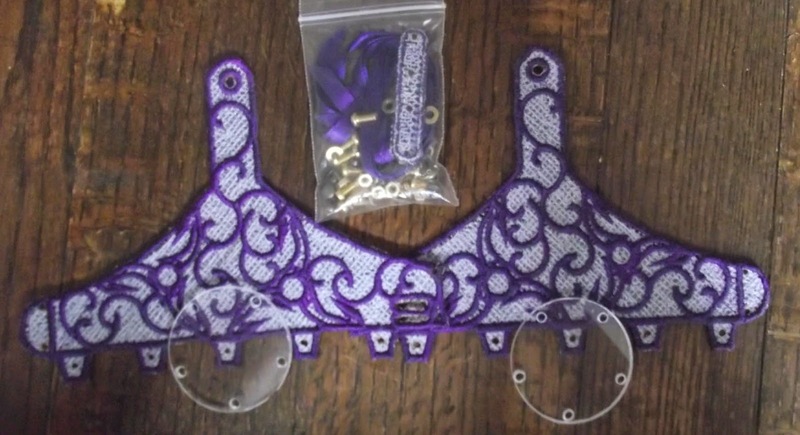 You can find this kit and more at Dragonswann Designs facebook page or Dragonswann Designs ebay. I had seen a similar card to this on Pinterest but I wanted to add my own little twist to it and here is my version. I started by stamping the cups, using Tea Cup stamps from Artemio, onto Eau de Nil capsule collection paper, from Papermania as well as Sea Breeze and Lagoon 12x12 card from Kaiser Crafts. I then made a stack of cups by slitting the rim of each cup to put in the next cup, I then fastened the stack together using pieces of foam tape. I cut a piece of Lagoon card slightly smaller than the 8x8 card, then a paper from the Eau de Nil paper stack slightly smaller still. I stuck the pieces together and added the cups. I felt the card needed something extra, so I added three 'Tropical' paper roses, from Hobby House, to the bottom corner of the card. 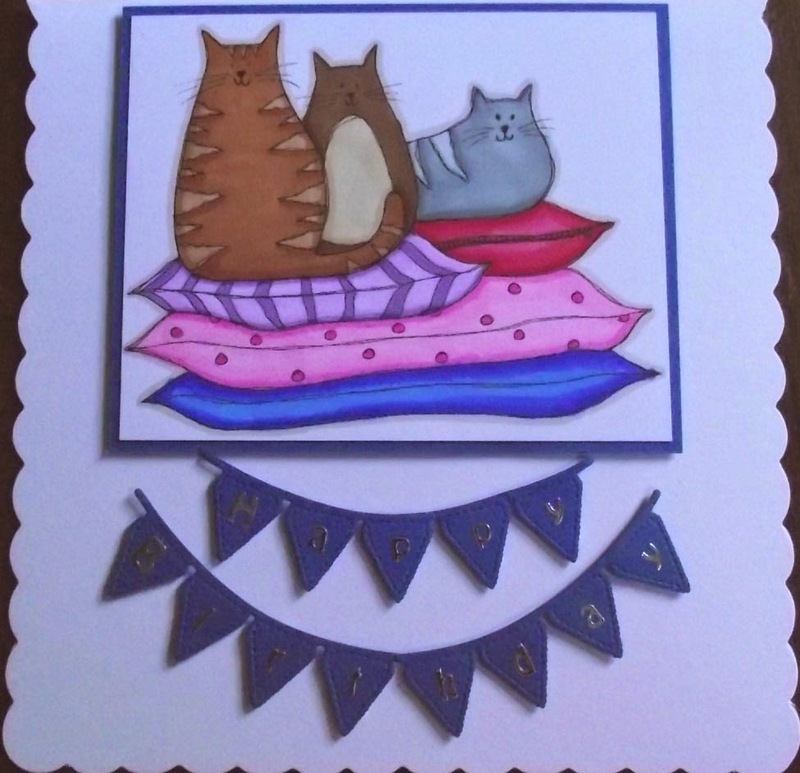 Finally I added a small greeting topper from Anna Marie Designs. 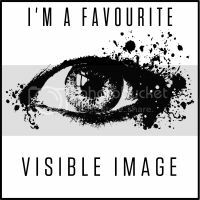 I absolutely love the new stamps from Visible Image, this particular set is Fae Hope and she is amazing. The wings are not only separate from the body but also from each other. I then cut out each image and stuck the wings onto the back of the body using a foam pad to give it a bit of depth. Next I created a background using Distress Inks in different shades of blue and green., then using the Forest background stamp from the new Visible Image range I added the trees on either side. 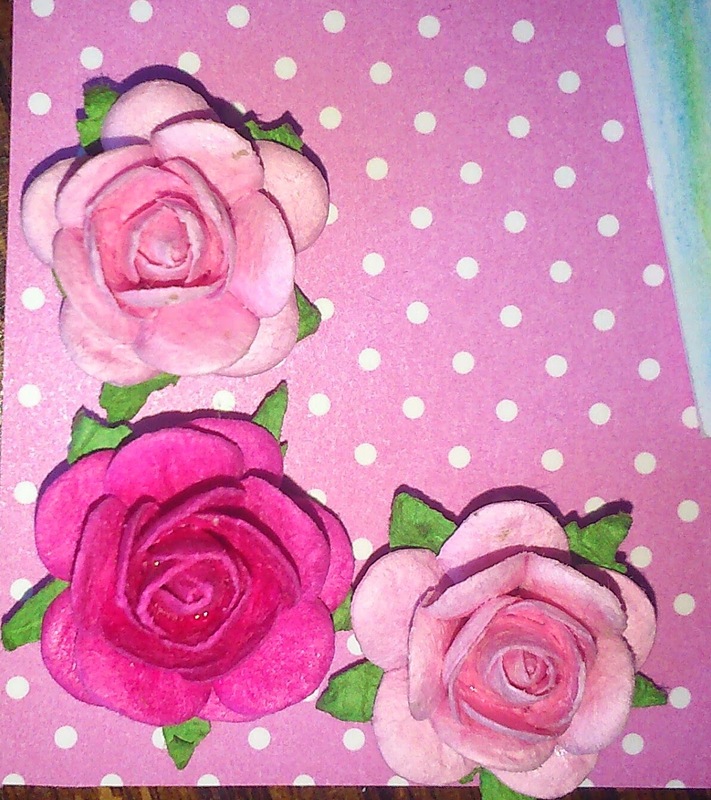 Finally I punched out lots of tiny flowers in different pinks and added them around the bottom half of the card. The Mirabelle range from Trimcraft is fantastic. 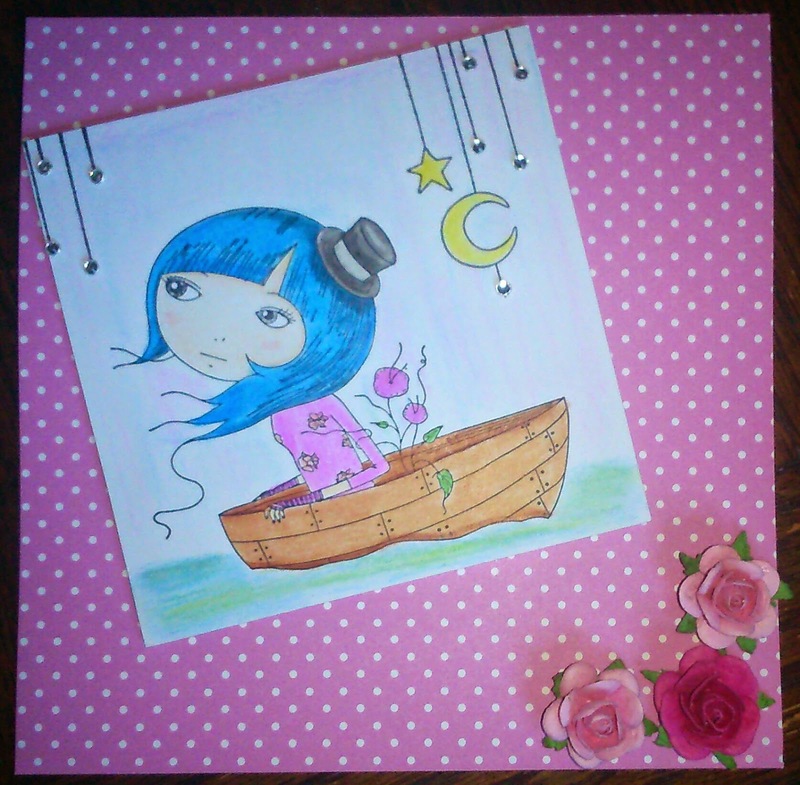 This particular stamp is one of five that were released earlier this year and it is called 'Adrift'. 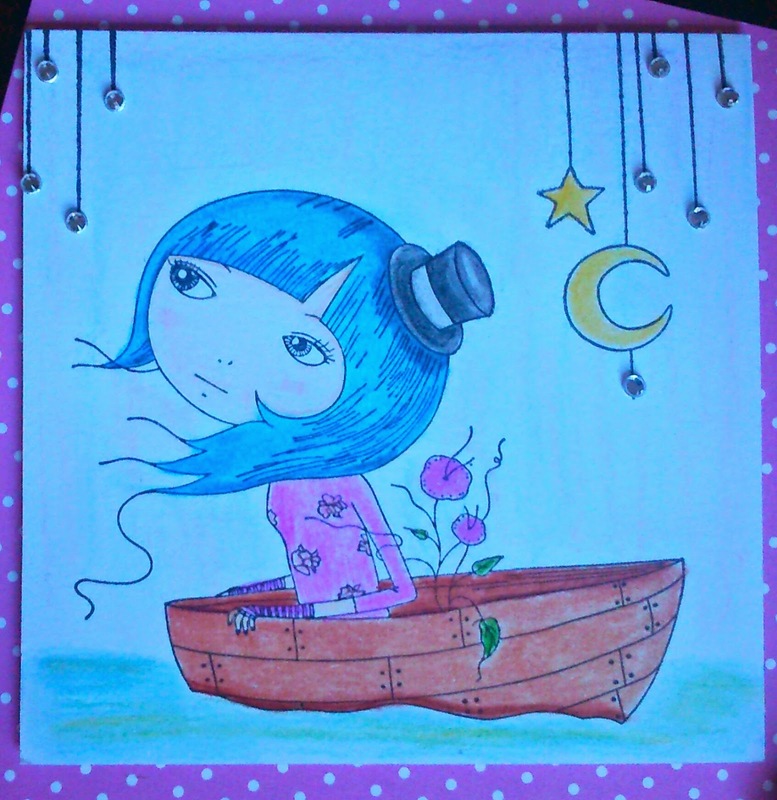 I then mounted her onto a piece of pink spotty card also from Anna Marie Designs. 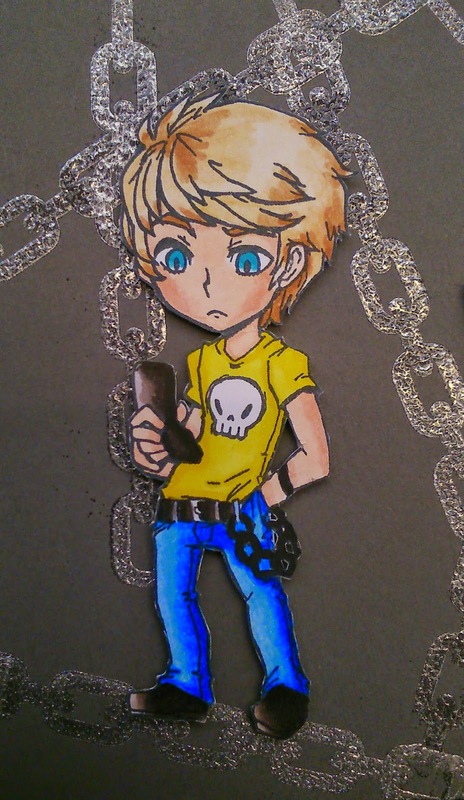 I added little clear gems, from D.O. 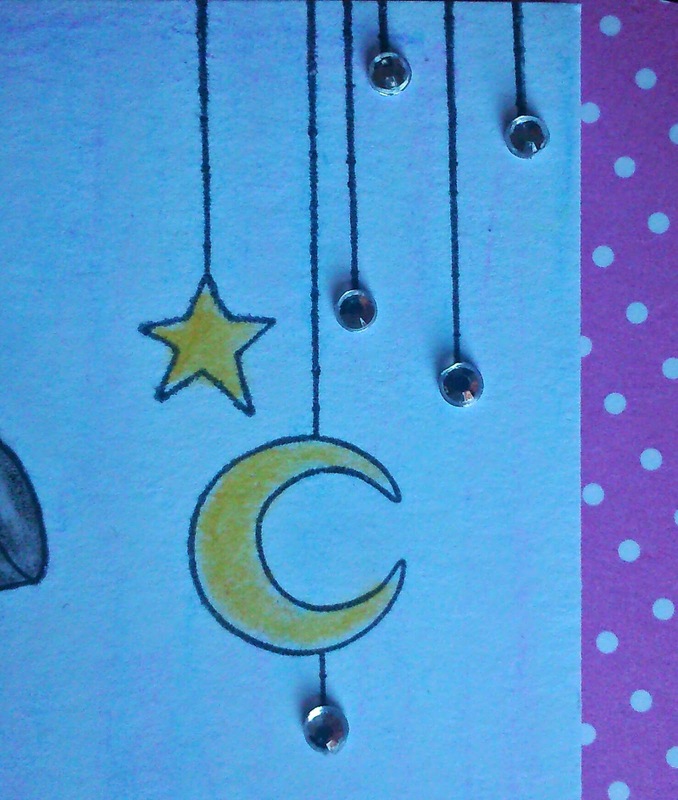 Crafts, onto the little drops at the top of the image to add a little bling. Finally I added three flowers from Hobby House, to the bottom corner of my card. This is Max and he rocks! This card is made using the Max Rocks stamp set from the amazing folks at Visible Image. Firstly I stamped the skulls onto a piece of 6x6 black card, I used an old white ink pad (I didn't want a stark white), then I used a clear embossing powder over the top. Next I cut a piece of grey card, smaller than the black, then I stamped the chain links using silver ink and clear embossing powder. 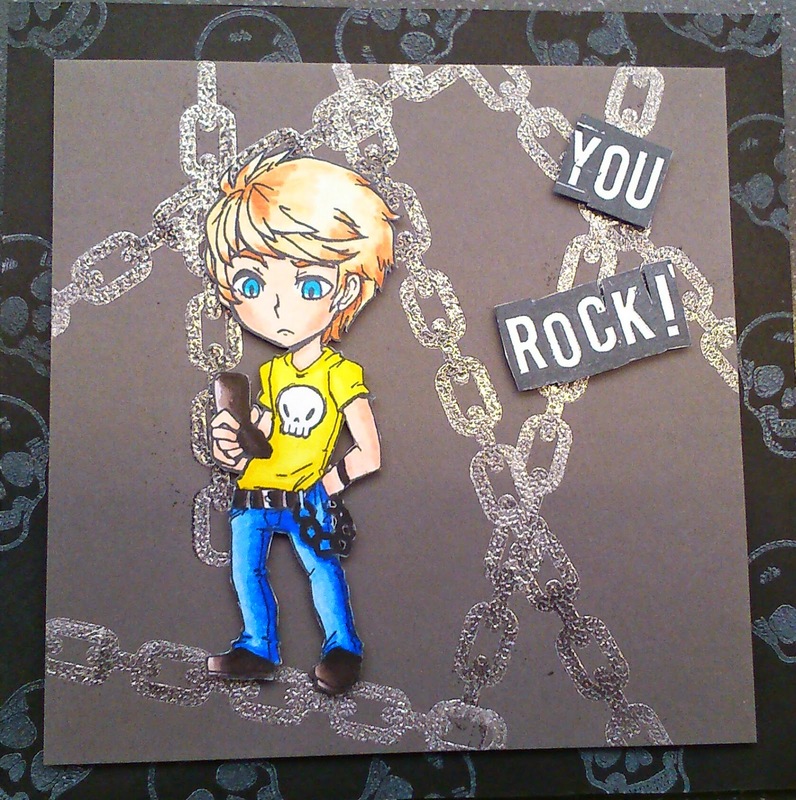 Finally I stamped the "You Rock" greeting onto white card, cut it out and mounted it onto the card. I was introduced to Handmade Harbour digis by my good friend Teresa over at The Fat Cactus, I shall never forgive her and I shall never have enough time to use all of the images I want from there. 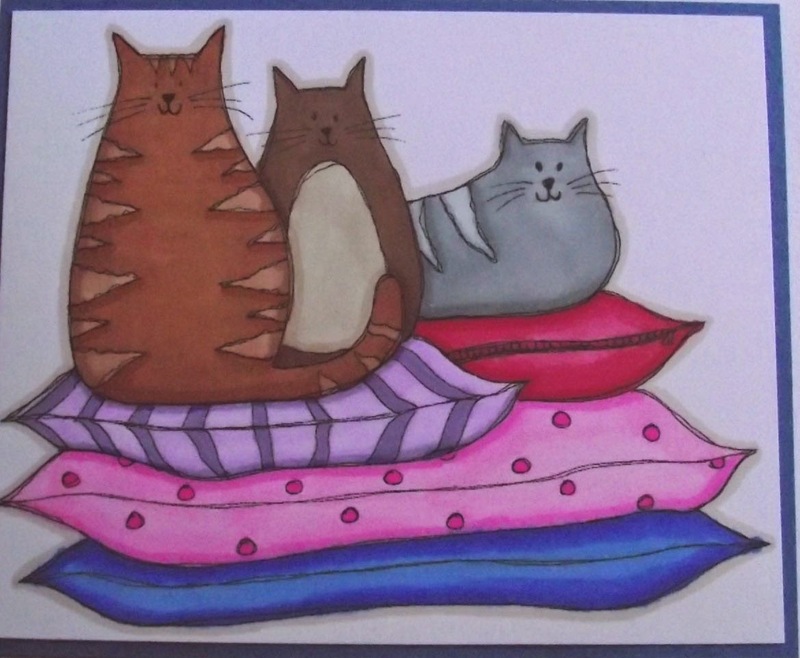 Here is my first creation using a digi from their collection, Three Cats on Cushions, and aren't they just brilliant. I layered the image onto a piece of blue card and stuck the mounted image onto my card blank. 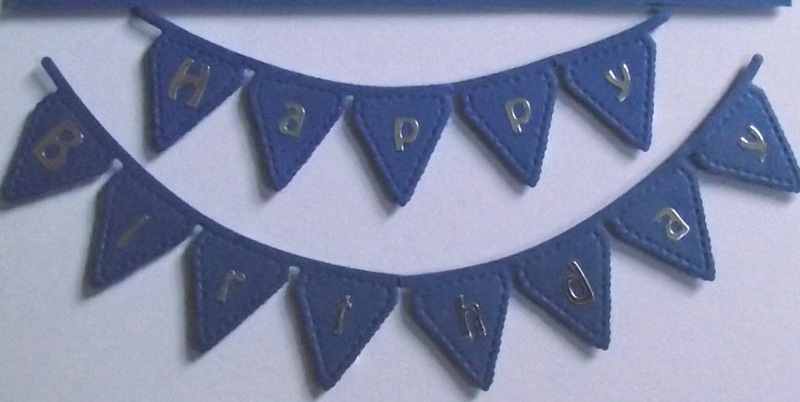 Next I used the same blue card to cut three strings of bunting using a Joy Crafts die called Party Flags, I used peel off letters on one to spell out Happy, then cut the end flag off two of them and stuck them together to create a long enough string to put on Birthday.